In a new update from NASA, the Opportunity team notes that a more recent attempt to contact Opportunity has been met with only silence. This indicates that the rover is now in a critical low-power mode where it basically hibernates while occasionally checking power levels. In a new image, NASA shows how the massive storm is hampering Opportunity’s solar panels. 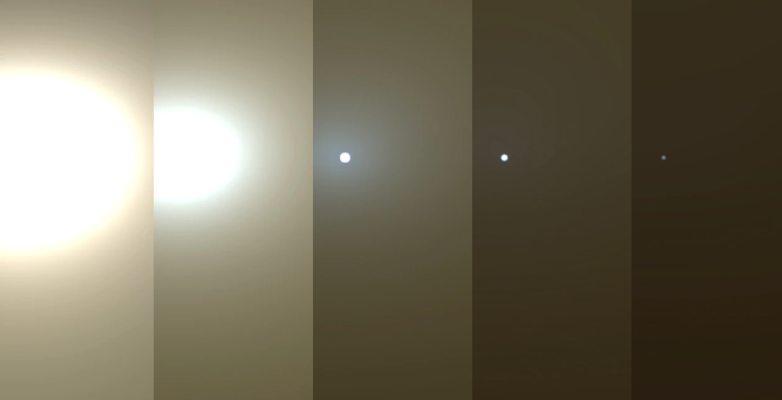 The image, which is a composite simulation of the varying degrees of atmospheric opacity that the rover would have seen as it was gradually swallowed up, reveals just how dark the skies are getting above Opportunity. “The left starts with a blindingly bright mid-afternoon sky, with the sun appearing bigger because of brightness,” NASA explains. 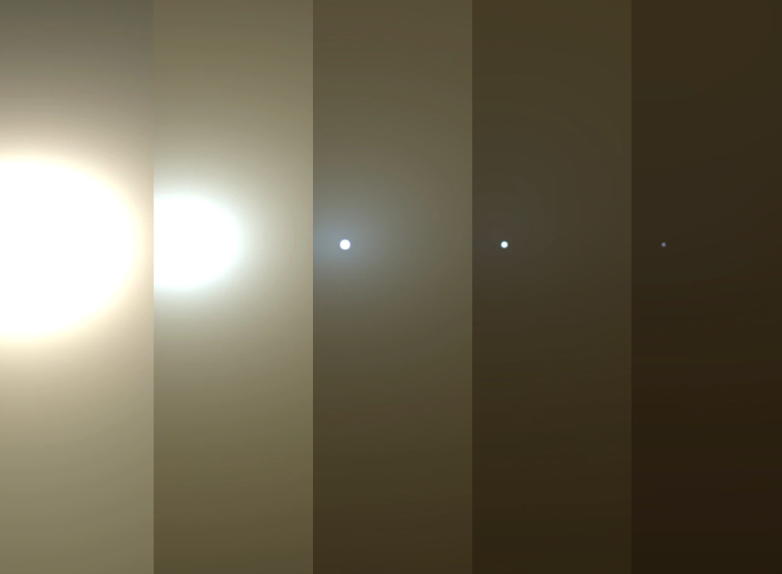 The low light level is preventing Opportunity from keeping its batteries charged, and while science objectives were placed on hold as the dust storm approached, it simply didn’t have enough power in its reserves to keep it awake as the dust clouds engulfed it. 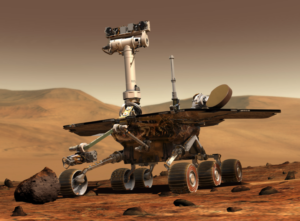 According to NASA, the rover’s current state allows it to wake back up from time to time so that it can check its power reserves. Once the solar panels begin providing power once again, it will wake to find its batteries charged, in which case it can resume its mission. However, scientists don’t know when that might actually happen.